Another day and another Game of Thrones theory abounds to keep our thirst quenched! While Season 6 of Thrones satisfied us in oh-so-many ways, it also left us with a million and one questions, AS PER USUAL. Because the last time we saw Dany’s biggest fan, he wasn’t doing so hot. If you recall, in Season 6, Episode 5, “The Door” (YEAH, it’s been that long since we saw Jorah) Daenerys commanded Jorah to find a cure for his increasingly disastrous greyscale condition. 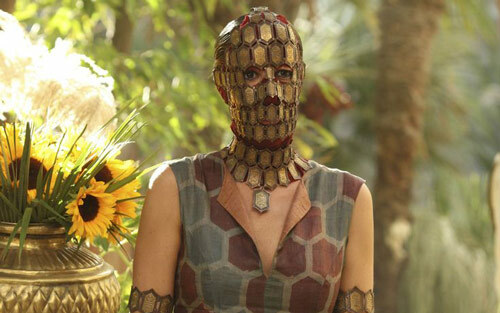 Back in Season 2, Episode 5, “The Ghosts of Harrenhal”, we first met this mysterious woman when Dany and co were hanging out in Qarth (remember, the place where Dany’s dragons were stolen as babies?). 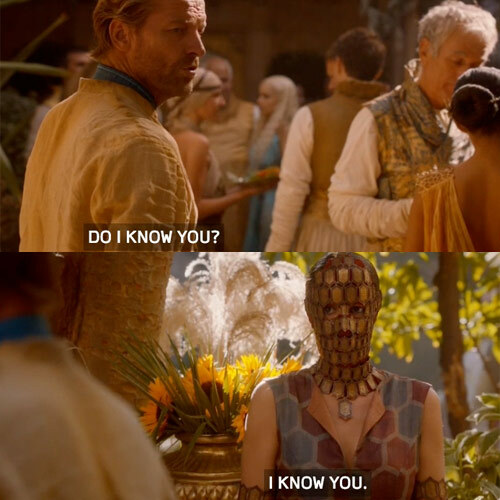 And while Jorah (and ourselves) had no idea who this masked-woman was, she clearly knew who everyone else was…and perhaps most interestingly, she knew exactly who Jorah was. OLD VALYRIA, aka, the place where Jorah contracted greyscale! 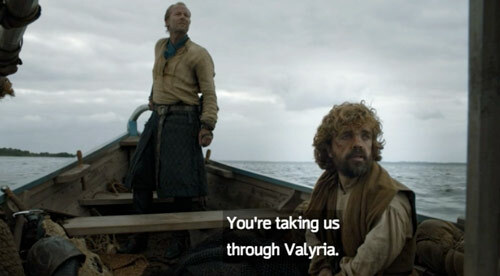 In Season 5, Episode 5, “Kill the Boy,” Jorah takes Tyrion on a reckless boat ride through Old Valyria to get back to Daenerys. And if you remember, they encounter some not-so-pretty Stone Men, who put up a good fight, and ultimately infect Jorah with greyscale. 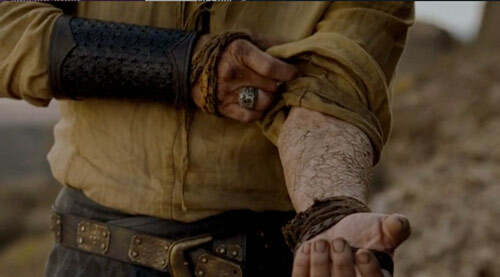 So, could the answer to Jorah’s problem really lie with Quaithe? 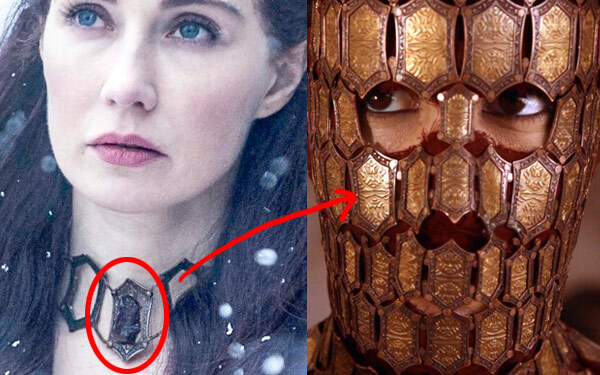 She more than likely has some kind of magical powers since she’s from Asshai (where Melisandre is from) – note the design similarity between Quaithe’s mask and Melisandre’s age-defying necklace. And she obviously knows something about greyscale prevention. 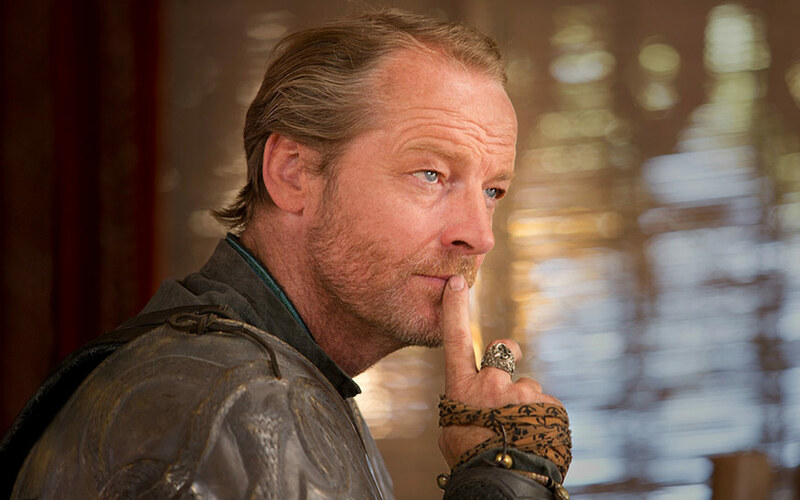 If Quaithe’s powers are as strong as Melisandre’s, then we’d say Jorah has a FAIR SHOT at making a full recovery. And that would be GREAT, because we’d like to see him back at Daenerys’ side (and hopefully for him, AS A LOVER, and not just a pal this time around). YOU HAVE YOUR ORDERS JORAH! NOW GO, FIND QUAITHE!